This post is all about how to create a beautiful Pinterest pin to get more views on your blog. The best and easiest way to get readers to your blog is through Pinterest. As a blogger, Pinterest is your best friend. 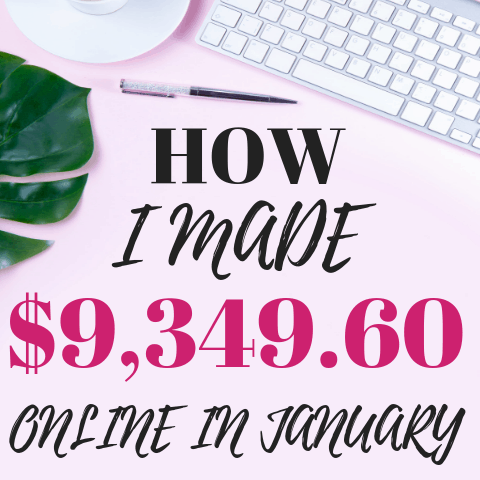 Almost 80% of my traffic comes from Pinterest and it’s a huge part of how I make my money blogging. The trick to getting people to your website and blog is having images that people will want to click on in Pinterest. But that’s easier said than done, right? 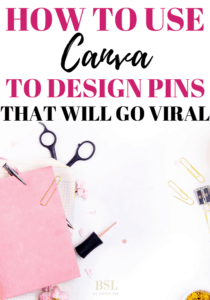 This post will show you how to create a beautiful Pinterest pin that will bring you thousands of views on your blog. When you first start out as a blogger (and even when you’ve been blogging for awhile) it is not easy to get traffic to your blog. And when I say not easy, I mean almost impossible. 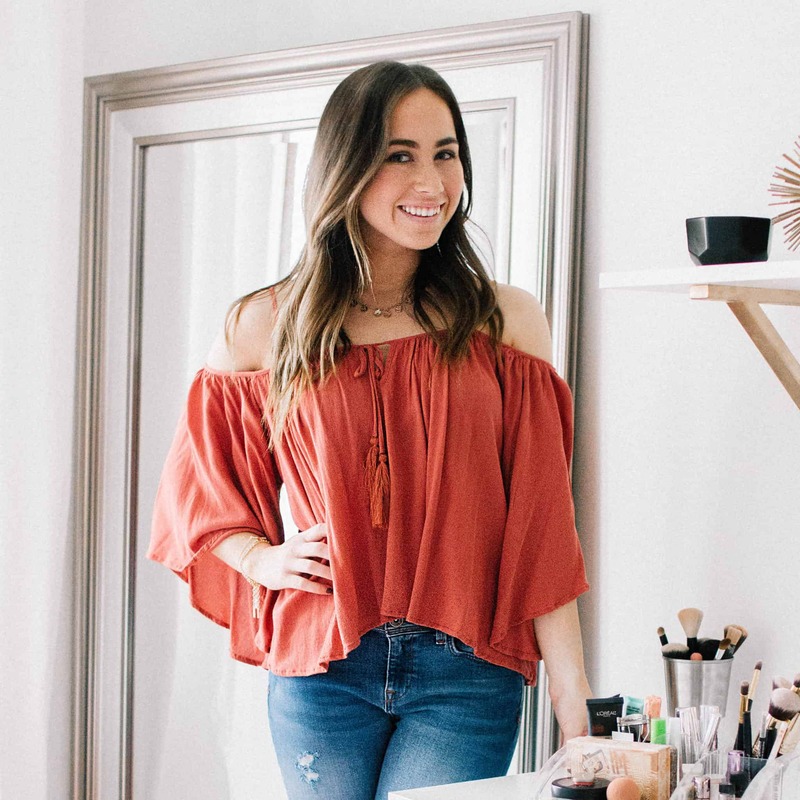 When I first started blogging, I believed that sharing it with my friends and family would be enough to get my blog out there and make it big. Let me just tell you, that plan did not work! I then looked into how other bloggers were getting traffic to their blog and I figured out the secret: Pinterest. In just 6 months of putting my content on Pinterest, I have hit 2 million monthly visitors. How did I do this? Designing images that people want to click on Pinterest. And the best part of it all, its free! The reason Pinterest does so well with getting traffic to your blog is that people specifically go on it to read peoples blog. It is a search engine, just like google. Let’s say you go on Pinterest and search, “summer dinner recipes”. Hundreds of images will come up and you will click on them to go to certain websites. Pinterest tends to work much better than other social media channels. This is because when you go on Instagram or Facebook, for example, you scroll through and don’t normally go to someone’s profile to click to go their blog. Of course, sometimes you do, but mostly you are just scrolling through and taking a quick look at the pictures. Basically what I am saying is that if you’re not on Pinterest, you need to get on it ASAP! I design almost everything on my blog with Canva. It is a free website that is extremely easy to use and creates the best looking images! 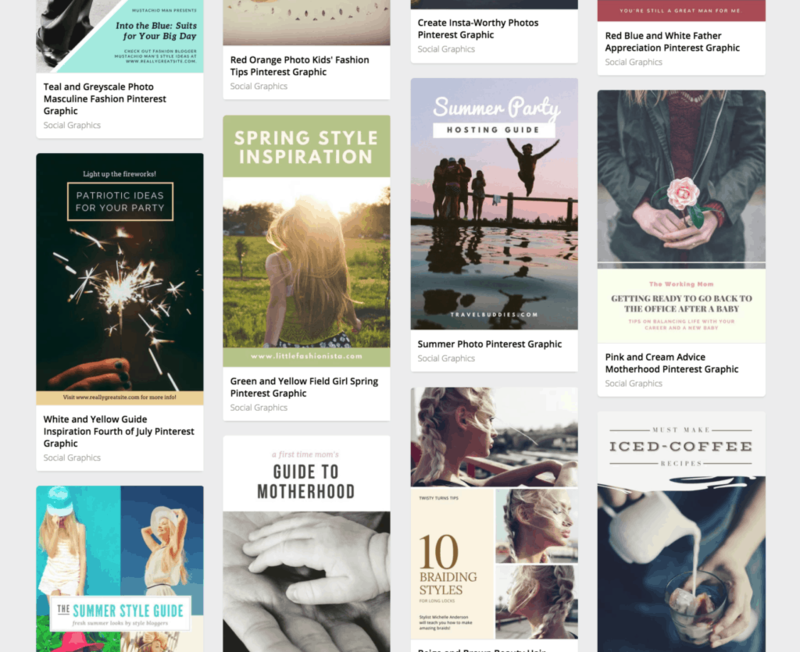 Canva has hundreds of templates for you to use if you don’t want to create a Pinterest image yourself. You see that picture above? Those are just a few of the template options Canva has. You are able to add your own pictures, change the font, change the colors, and so much more! I actually make my own designs in here because I wanted a “branded” look for all my pictures. It saves the template so every time I go into Canva I can just replace the picture and the title and I am good to go! 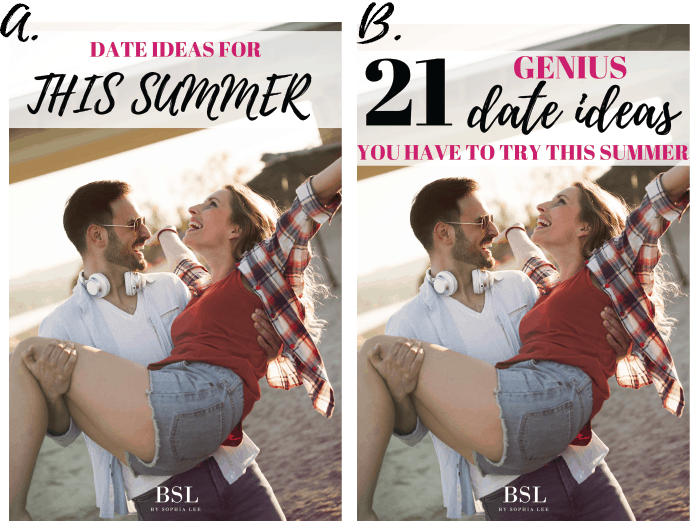 It is SO easy and I recommend everyone to try out Canva for their blog. The website is very user-friendly and will show you exactly how to navigate it. You NEED to have a click-worthy title on your image! When I started writing clickable titles for my blog posts my pageviews rose by the thousands. You need to make sure that your blog titles create an urgency for the person to click on. In the image above, which one would you be more likely to click? (Let’s hope you answered B 😉 ). Option B’s title makes you want to click it so much more than A’s, yet they are saying the same exact thing! I always make a list of 3 to 5 catchy titles for each post and then will see which one does better on Pinterest. I find the Pins that get clicked the most on Pinterest have a number (like the picture above) and a verb in the title. When I figured out how beneficial this was to my pictures, I created a list of 100 of the best blog title headlines and put them into a template for me to use. I refer to this template when I write a post to ensure I am getting the best possible title. 2. Have your image a certain size. Pinterest can tell everything that you are doing and likes certain things better than others. One thing Pinterest really likes; Pinterest images that are a size that they believe works the best with their website. While this ideal image size changes with different updates Pinterest puts out, the size I have found the best is 1000 x 1500. However, apparently, Pinterest is favoring shorter images so I have started to play around with square images. Just started this yesterday though, so I will update this and let you know if it has been beneficial or not. 3. Use a bright image. Almost always, brighter images do better than dark images on Pinterest. I ALWAYS try to find images that have a bright background such as white or the sun. I used to take almost all of the images, but being in college has made it almost impossible to have enough time to do that. Because of this, I use stock images from Deposit Photos. I used to use free stock photos but I purchased Pinterest Strategies from Carly Campbell (SUCH a good ebook to read on Pinterest…you can find it here) and she saw a trend where all of her top pins were from paid stock photos. I have to say, all of my paid stock photos have done extremely well!! This post showed you how to create a beautiful Pinterest pin and get more views to your blog. The key to getting traffic to your blog quickly and easily is having beautifully designed, clickable content. Follow these tips and you will have a Pinterest that will get you thousands of traffic visitors.